our 2018 festival was a huge success! Thanks to everyone who made that possible, including our amazing audience! Forasteros is a Flamenco Suite created by Director Genevieve Guinn and Musical Director Gonzalo Grau that takes audiences on a journey - the journey that all foreign flamencos take when they decide to completely immerse themselves in the art form. It is the story of those who decide to follow their dreams and their heart, leave behind their family, friends, and culture, and dedicate themselves to their passion, knowing full well they will always be outsiders. 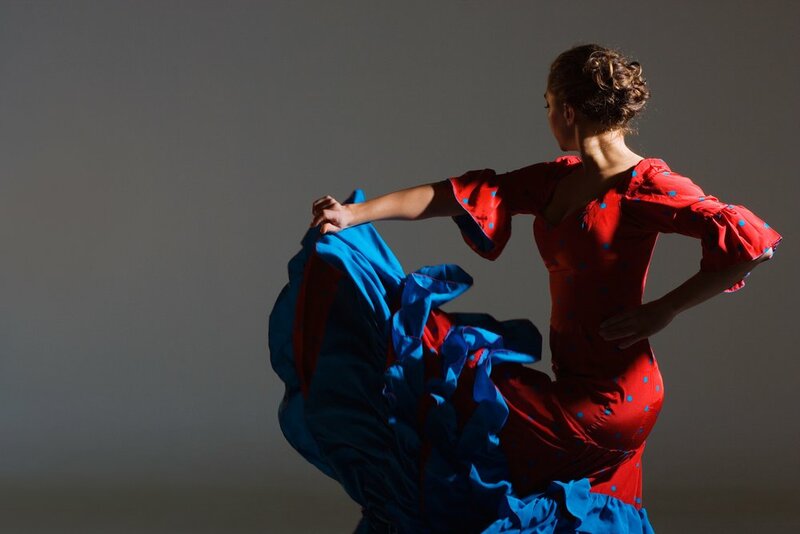 Guinn and Grau bring together their own histories and artistic prowess along with those of many of the best flamenco dancers and musicians from across the US, from San Francisco to Washington, DC. This project, a culmination of ten years of collaboration between choreographer and composer, is dear to the director’s heart as it is her own personal story, as well as that of many of the guest artists featured, and will resonate with anyone who has found themselves in a foreign land among people they don’t know, and who don’t know them. FREE!!!!!! Community Class on the HEB Terrace!! Tablao performance featuring Edwin Aparicio and Olivia Chacón.